No shirt, khaki shorts and that hair. What the world happened in his bed last night??? It took three swipes with a wet comb to get it down. 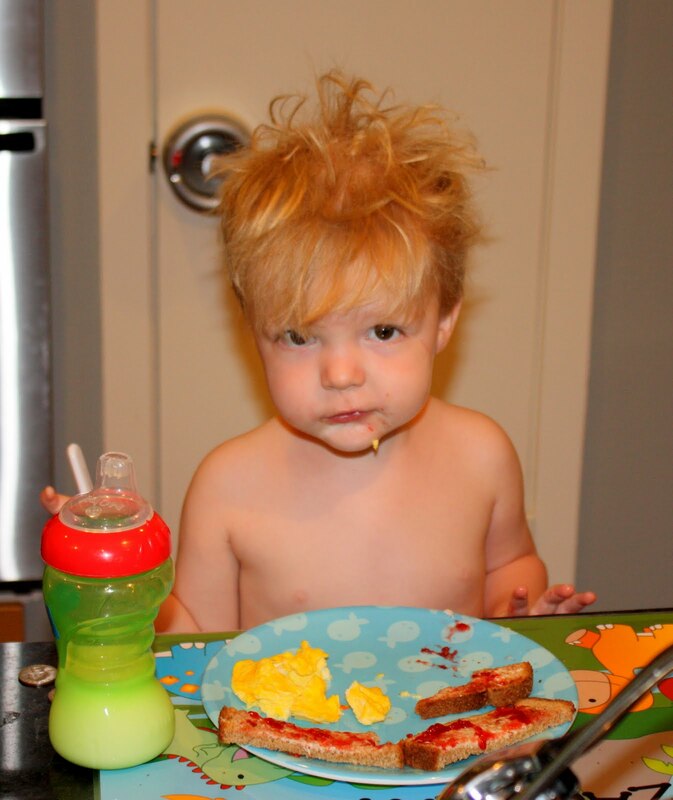 And I specifically heard his father negotiating with him that Zach did not have to wear a shirt to eat breakfast but going to school shirtless was not an option. Apparently Zach choose to not hear that last part.